Why should my practice be involved in Generation Pup? We are asking veterinary practices to help us recruit puppy owners to sign up to Generation Pup. Because the majority of puppies visit veterinary practices for health checks and vaccinations, you have the perfect opportunity to help us make Generation Pup a great success. Generation Pup is a ‘birth cohort study’, like the ‘Bristol Cats Study’ and the well-known “Children of the 90’s” study, which has had a massive impact on knowledge about child development, health and disease, and informed many aspects of public health policy. In our study, we plan to do the same – but for dogs! Many important welfare conditions in dogs, such as gut diseases, leg injuries, diabetes or behaviour problems are influenced by multiple factors. Other research methods used to investigate these problems are limited by perhaps collecting only some of the factors important in disease development, or being unable to identify whether the factors were present before the disease developed. Generation Pup has the great advantage of collecting information about dogs as they move through their lives – so we can identify the ages at which diseases occur and also the factors which might have contributed to their development. The main help we need from veterinary practices is enthusing owners of puppies about the project to help us develop a large ‘Generation Pup’ community – we are looking to recruit 10,000 puppies! We would be very grateful for any help in achieving this. 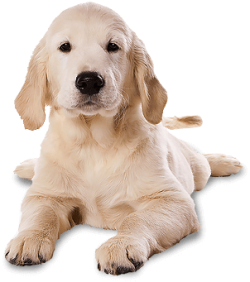 As the majority of owners bring their puppies to veterinary practices for health checks and vaccinations, you have the opportunity to make a massive difference to the success of Generation Pup. We are asking all owners who register with Generation Pup if they would be willing to give permission for us to access the veterinary records for their Generation Pup registered dog. For those who are willing to do this, we would be very grateful if you could help us with this. You do not need to do anything about this now - we will get in touch in the future to request records where owners give consent. Once owners are registered with Generation Pup, they will be sent ‘Vet Cards’ to bring along with them to some of their regular health checks. These are simple ‘tick sheets’ which ask you to record aspects of the health check that you will be completing as part of your routine consultation – such as body condition score, gingivitis and occurrence of heart murmurs. All you need to do is complete these (which should take a couple of minutes at most), stamp and date the card, then hand them back to the owner. The cards are returned to us by the owner using our freepost address, and we will then add the information to the dog’s data records. I already take part in the VetCompass or SAVSNET practice data projects – is that a problem? No, this is not a problem at all. 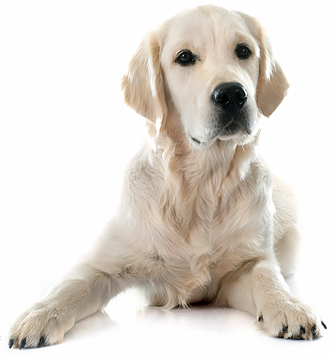 SAVSNET and VetCompass both collect information through practice records – Generation Pup asks owners to provide information about their dogs, so there is no conflict. In fact, Generation Pup and VetCompass are working together to make sure that the welfare benefits of each project are maximised by combining information from owners with veterinary records for outcome measures. We would like to help more – is there anything else we can do? We are very grateful for any help you give us recruiting puppy owners onto the study. You can also be involved by helping to ‘spread the word’: we need as many puppies as possible registered to ensure that the project is a success, so by spreading the news on Facebook or Twitter, telling your friends, having flyers for owners in your waiting room, playing our video on Vet Channel or recruiting owners coming to puppy socialisation classes you will be helping us to make Generation Pup a successful study which will have massive benefits for dogs, vets and owners of the future! We can also come and give presentations to encourage owners to sign up to the study, so get in touch if you would like to host a Generation Pup client evening. How do I get hold of recruiting posters for owners that come into my practice? If you are interesting in placing ‘Generation Pup’ recruiting posters in your centre, please email generationpup@dogstrust.org.uk and we will provide you with posters you can print yourself or, alternatively, we can post posters to you. We will also be able to provide instructions and digital copies of the posters if you wish to help us recruit online.